Rolling Stone magazine’s 2006 ‘Artist to watch’, Khalifa shot to international fame in 2011 with his debut album Rolling Papers, which included hit singles Roll Up, No Sleep and Black and Yellow. The latter peaked at number one on the US Billboard Hot 100 and entered the Top 10 of the UK singles chart. Wiz’s biggest hit to date, the 2015 global smash See You Again, was the lead single from the Furious 7 soundtrack and a tribute to the late actor Paul Walker. The single peaked at number one on the Billboard Hot 100 for 12 consecutive weeks, and hit the top spot on charts across 95 countries. The song broke several records including most streamed track in a single day on Spotify and was nominated for three Grammy Awards. His latest studio album is planned for release this summer. 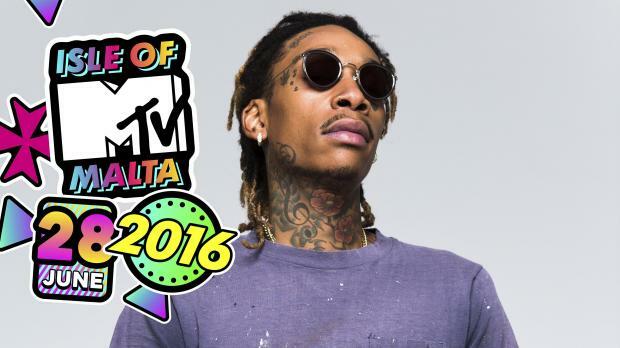 Over the nine years that Isle of MTV has been held in Malta, the number of visitors to the island younger than 24 has increased by 120 per cent and now account for 20 per cent of all tourists.